This was such a hit at craft fairs that I'm offering it online as well. A great way to make your gift extra-special. Add this option to your order when you check out and I'll arrange your jewelry inside an attractive butterfly collector's display case. 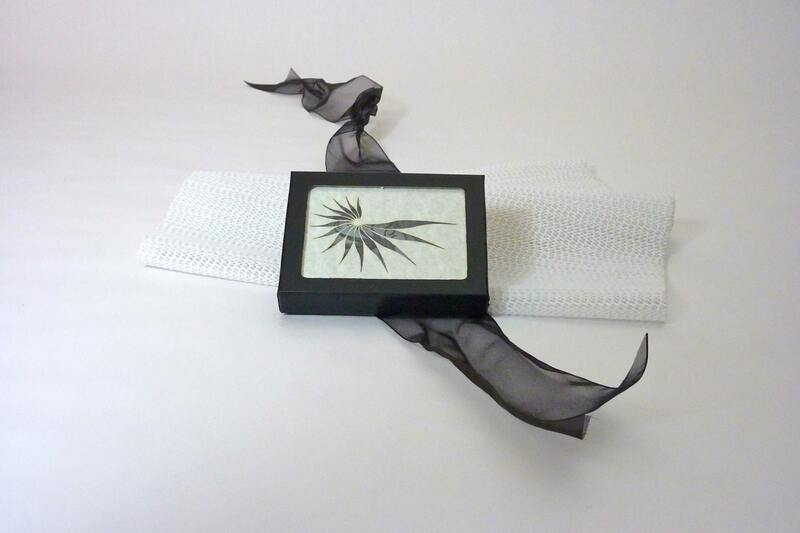 These boxes are normally used to display insect specimens and have real glass panels in the front for artistically displaying your jewelry when it is not being worn. 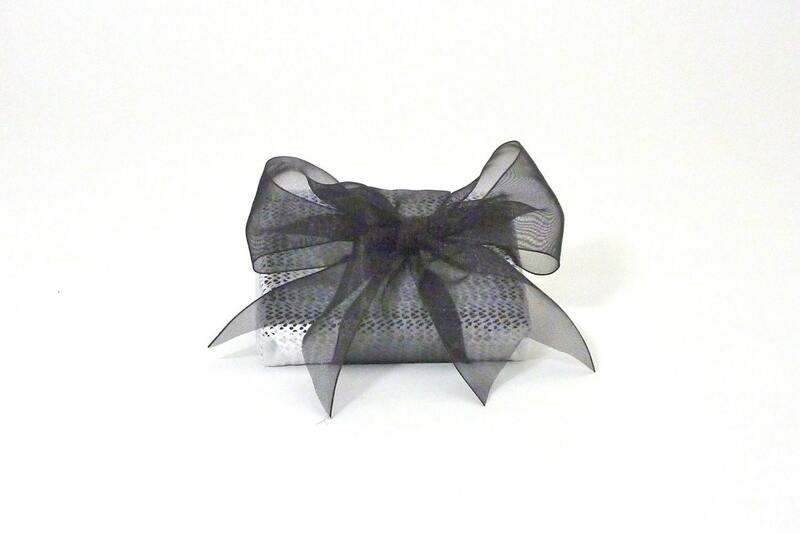 The box comes wrapped in lacy rubber fabric and is bound with a sheer black ribbon. 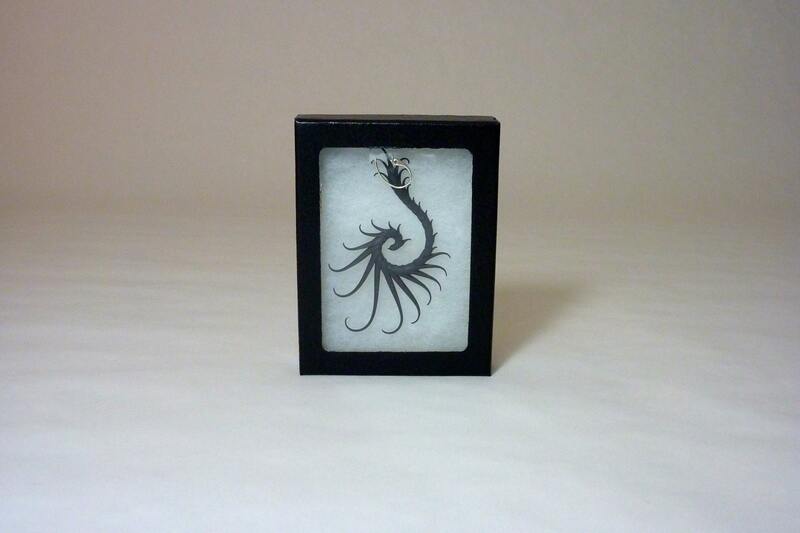 Inside the display case there is a paper panel with a cut out window in the shape of the Zoa Chimerum logo. Part of the jewelry can be seen through this window, but not enough to reveal the whole shape - just enough to entice. Each layer of the packaging is either perforated or translucent, so that as the layers are removed, the succeeding layers continue to hint and tease while the mystery is revealed. 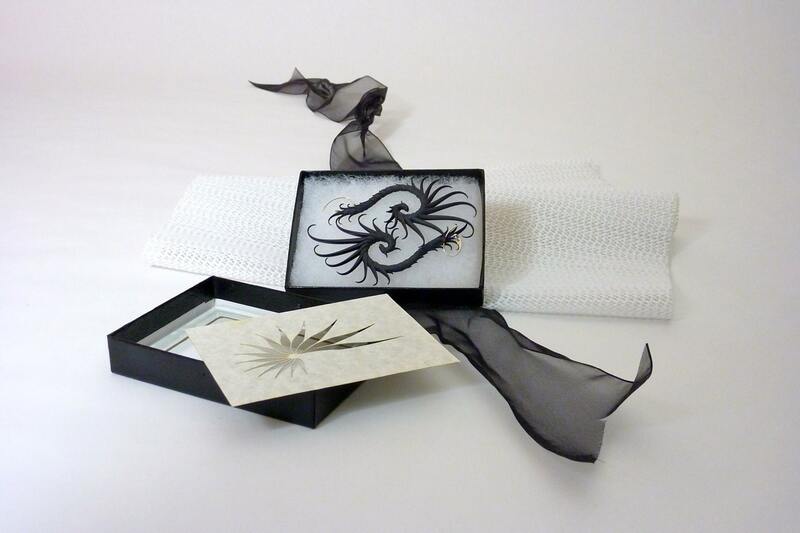 If you'd like to include a special (brief) note with your gift, I can write it for you on the paper cutout panel. Be sure to specify whether you want the writing facing out (visible through the glass) or inward (visible only after the card has been removed from the box). 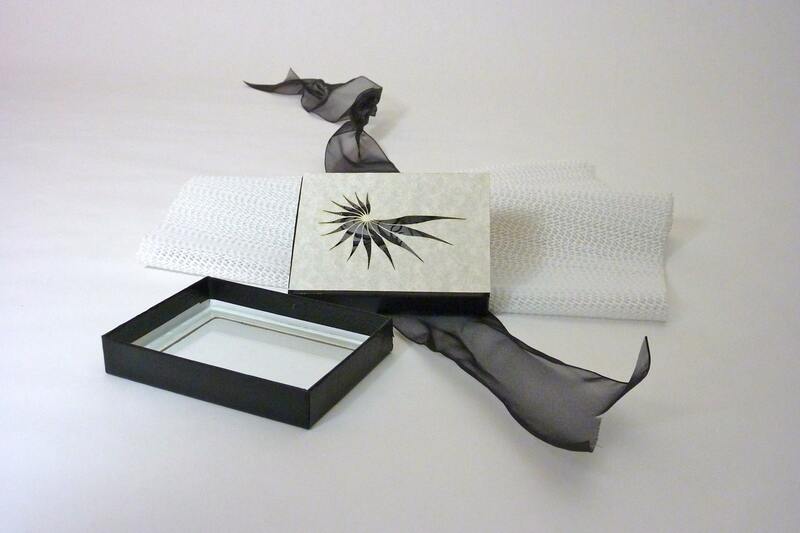 Special Gift Wrap Display Case is not available with Mussorgsky or Tchaichovsky rings currently.